DuBravac, Stayc & Margaret Gonglewski. "Multiliteracy: Second Language Literacy in the Multimedia Environment," in Lara Ducate Nike Arnold (Eds.). 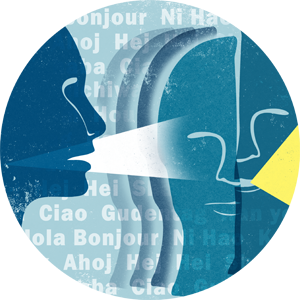 Calling on CALL: From Theory and Research to New Directions in Foreign Language Teaching. CALICO. 2006. Dicho y Hecho: Methodology for visual literacy for instructors. Instructors' Resource Manual. Format: Print. [Companion volume to video, see below]. [ISBN 0-471-46720-2]. New York: Wiley Sons, Inc. 2004. To accompany student textbook, Dicho y Hecho, 7th ed., by Laila M. Dawson, Albert C. Dawson, Gorky Cruz. New York: Wiley Sons, Inc. 2004. Dicho y Hecho. Edited volume of 27 cultural profiles and practices. Format : Video. 66 min. [ISBN 0-471-48416-4]. Hoboken, NJ: Wiley. 2004. DuBravac, Stayc. Interaction. Critical Analysis and Pedagogical Presentation of Ten Literary Texts. Format: CD-ROM. [ISBN 0-8384-0343-3]. Boston: Heinle Heinle. 1999. Moehle-Vieregge, Linda, Mary Ann Lyman-Hager, Stayc DuBravac, Travis Bradley (equal authorship). Surf's Up: A website workbook for Basic French. Format: Print. [ISBN 0-8843-2934-8] Guilford, CT: Jeffrey Norton. 1997. DuBravac, Stayc, Matthieu Dalle. "Reader question formation as a tool for measuring comprehension: Narrative and expository textual inferences in a second language." Journal of Research in Reading [England] 25(2) 2002: 217-231. DuBravac, Stayc. "L2 Task design for electronic media" in Meena Singhal (Ed.). Proceedings of the First International Conference on Second and Foreign Language Teaching and Research. The Reading Matrix, Inc.: United States. September 25-26, 2004. pp. 173-180.